I am currently addicted to tahini. What started as distrust for its strong and distinctive flavour has gradually grown into full-on love, and now I can’t get enough of the stuff. I use it in hummous, in baking, as a salad dressing, to make potato salad, as a replacement for mayonnaise and butter. Mmm, it is delicious. The label on the jar proudly states “just natural hulled sesame seeds”. No added oil, salt or sugar. So, I figured, I can just blend some sesame seeds in a food processor and make my own. Turns out, it isn’t that easy. 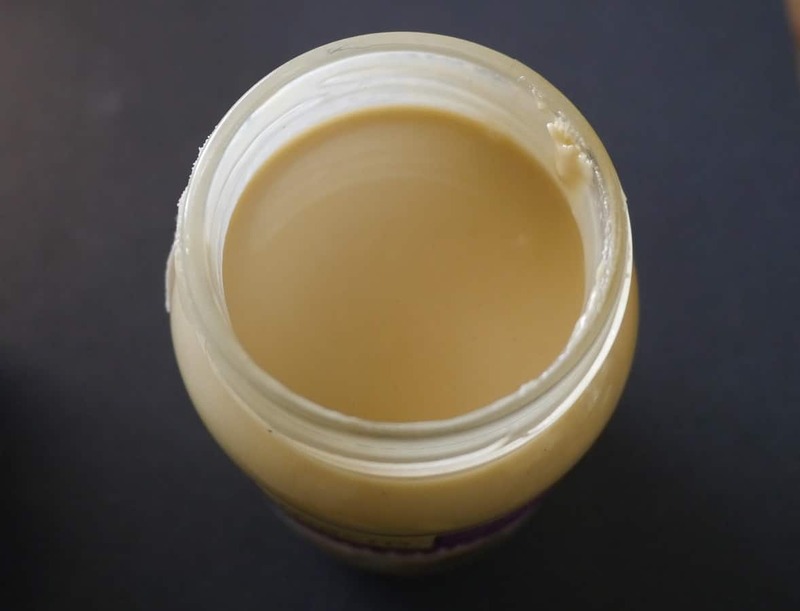 The resulting mass was nothing like the glossy, runny, beautiful tahini I can buy in a glass jar. It was a grey, lifeless lump. Looks aren’t everything, I know. Sadly, the taste was pretty terrible too. Really bitter and quite unpleasant. …and this is what I got. I’m wondering whether I should have roasted the sesame seeds. The jar doesn’t tell me that the seeds are roasted, but experience has taught me that roasted nut butters are infinitely better than raw ones. I think I’ll give it another go sometime, and toast the sesame seeds first. In the meantime, I’ve been to the shop and bought myself a new jar of tahini. 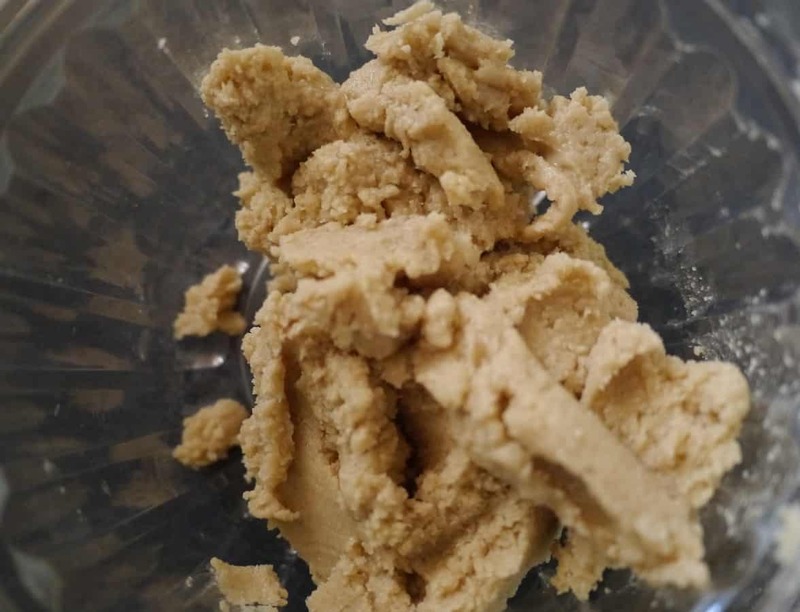 I’m going to try using the lump of ‘tahini fail’ in a tahini biscuit recipe that I make sometimes. I hope that the baking removes the bitter nasty taste. If not, the sugar and other ingredients should mask it. Anyways, I thought I’d share with you, in case you’re feeling tempted to try to make your own tahini without consulting a recipe first. Which you’re probably not. Ah well, we all have bad days! It’s got quite a distinctive flavour, and it definitely grows on you, plus it is sooo good for you – a great source of calcium and lots of other vitamins and minerals. Much better than mayo! As for the glass jars, I’m pretty sure my boyfriend would chuck them all in the recycling if he thought I wouldn’t notice! I’m glad your husband is on my side. And if they do become a currency, we’ll be rich! Indeed! Well maybe not all of them, but I’d like to get rid of some!! 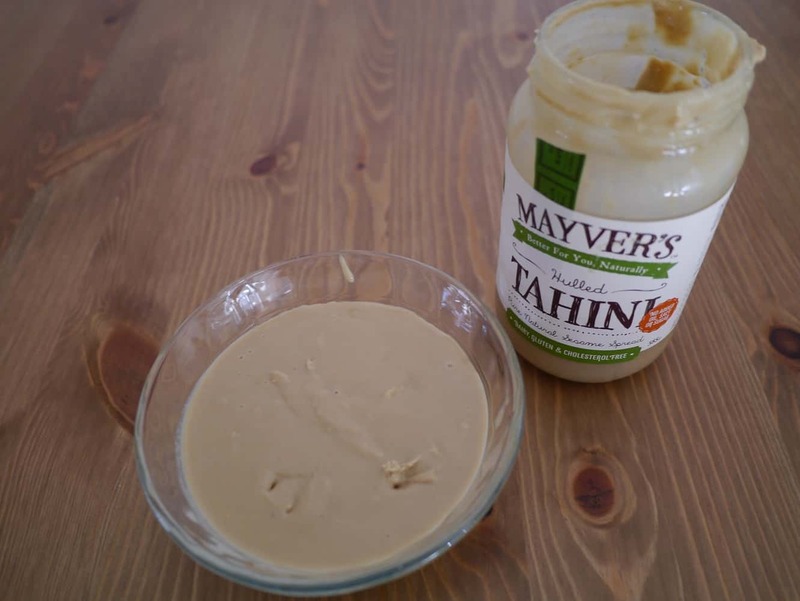 Interesting idea to use tahini as mayonnaise! I also use tahini in my hummus, but never thought about it as a mayonnaise. I am lucky as we have a bulk food chain store in Canada called Bulk Barn. They sell Tahini in bulk. Good luck on your next batch. Tahini jars are just the size we need for honey – so if you don’t end up discovering a way to make it please keep the jars for us. But I somehow suspect that you will be googling and solving this issue any minute now . . .
Hi, I love hummus and tahini as well. I live far, far away from the shops where you can get ready made. I like to cook from the scratch as well and do not have so much waste in the kitchen. I do my own tahini just for hummus. I have always in the kitchen a jar with gomasio – home roasted sessam seeds. Sessam seeds and chickpeas I can buy easily without any extra packages /by weight/ in the nearest town. So I blend my gomasio with olive oil, add cooked chickpes and all the extras and we can enjoy lovely home made hummus in North East Poland. I love gomasio – but I love it so much I eat it straight out of the jar. So I have run out. Mmmm, you are making me hungry! PS the tahini biscuits were ace as always…interesting! Interesting, we (I say “we”, but actually I’m just a spectator and end-consumer) had a similar experience, although it looks like you got closer! “We” also try peanut butter. It sort of works occasionally, but is never like the stuff that came out of the peanut butter machine in a “scooper market” in NZ; which was instructive, because all that went in was peanuts and this fabulous peanut came out; the same peanuts in a home kitchen blender didn’t behave the same, so I put it down to the machinery. I wonder if the same is true of tahini? Do you roast your peanuts before grinding them, or use raw ones? Hi, we just use them raw, but it doesn’t always make butter, sometimes we get a sort of sticky powder. We have tried roasting them too, but it doesn’t seem to make much difference, although I prefer the taste of roasted. I think the success in peanut butter depends on how much oil is in the nuts. And on the machine as well. Oooh, new update…I’ve found tahini in bulk! I can bring old jars for refilling so completely waste-free : ) But then I tried black tahini, which isn’t available in bulk… So I think another home-made tahini attempt is on the cards. I will report back if I’m successful!